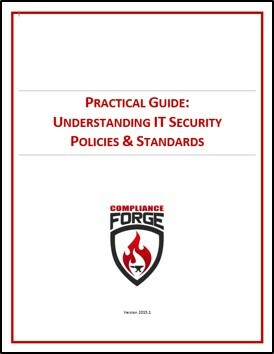 Free Guide To Cybersecurity Policies, Standards, Controls & More! IT security documentation needs to usable – it cannot just exist in isolation. This means the documentation needs to be written clearly, concisely and in a business-context language that users can understand. By doing so, users will be able to find the information they are looking for and that will lead to IT security best practices being implemented throughout your company. Additionally, having good IT security documentation can be “half the battle” when preparing for an audit, since it shows that effort went into the program and key requirements can be easily found. Given that, we put together the following guide and video to help you understand cybersecurity documentation!